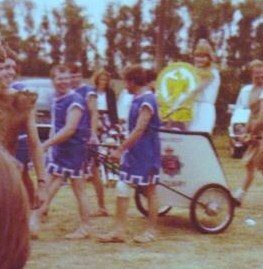 In 1981 the Three Nines Fayre was instigated by the Tilbury Fire Service, Tilbury police, Grays ambulance Service and the Bata fire department. It was an event to raise money for charity and for those injured in the course of their work. It was decided to hold the event at Bata Sport Field, East Tilbury. The days event had numerous stalls and of course many emergancy vehicles on display. 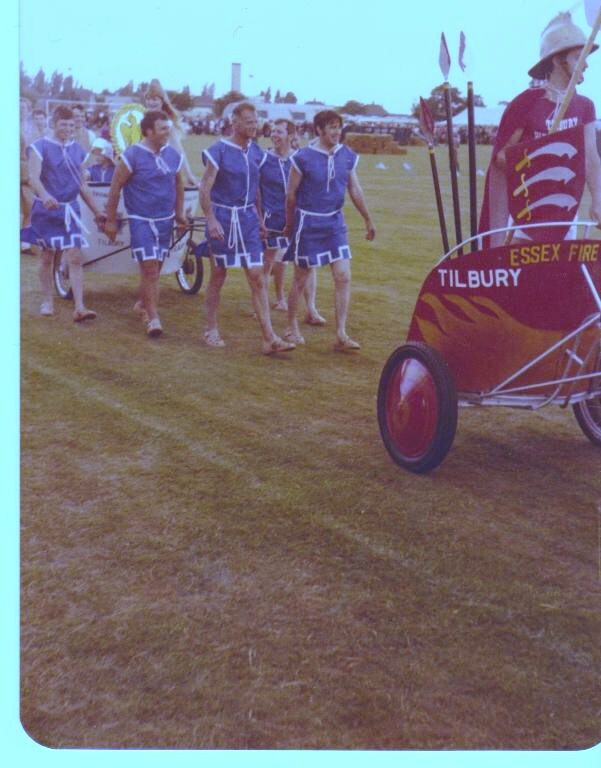 The main event of the day was Chariot Racing with many teams being involved with their home made chariots. 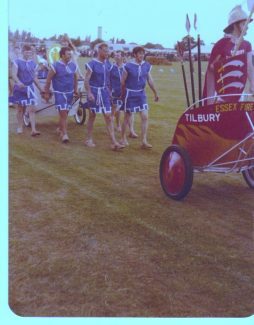 The first part was judging the chariot and teams for the best effort and display then of course putting the teams and the chariots through an obstacle course before the epic chariot race This event was managed for some twenty years before finaly coming to a close. All managed by volunteers from the Services involved.